Versus Evil and Mild Beast Games today revealed that At Sundown will launch for Switch. It’ll be published in Spring 2018. At Sundown, a BAFTA winner, is a stealth-based arena shooter in which four players compete in online and local deathmatch games. The action is set under the cover of darkness where players can only be spotted when they shoot, dash or walk into a light source. 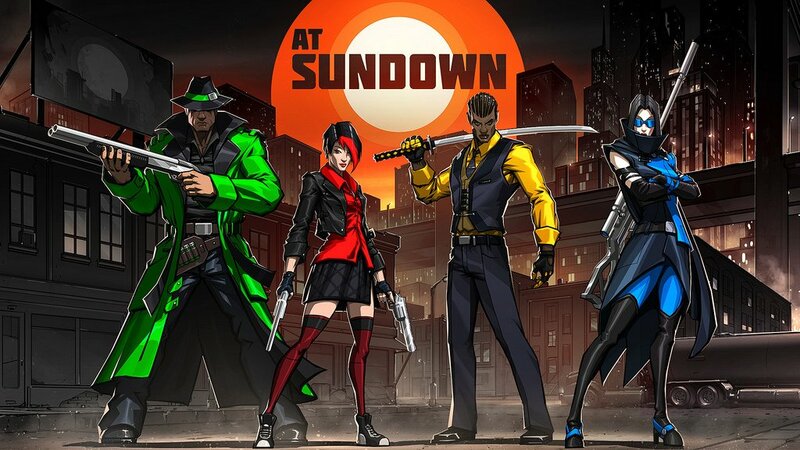 At Sundown will offer various weapons such as pistols, sniper rifles, shotguns, and bladed weapons along with multiple maps with unique light mechanics. If you’re not interested in deathmatches, you’ll be happy to hear that co-op is supported. Players can team up cooperatively to take down AI opponents or face off in head to head showdowns.